Our Off-Grid Systems are designed for long term reliability, performance and ease of maintenance....and allow for control of your own energy. If you are just beginning your research on installing a solar energy system on your home our business property, deciding what option is best can seem overwhelming. 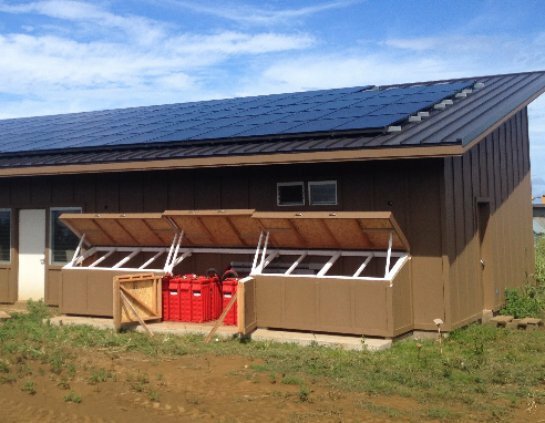 Read on, give us a call, or fill out our form to learn more or get a quote on our off-grid systems. Energy Independence- If you are in an area that allows for energy independence, an off-grid system may be great for you. It allows you to be free of using any electricity from a standard utility company, which in turn will keep you safe from any problems like power outages, increase in rates and such that can occur. Going Green- With the harm being done to the world today doing our part to help to minimize negative impact is highly recommended. When you utilize renewable resources such as the sun, you are doing your part to use less energy and are taking responsibility for the impact the overuse of energy has. Money- While the initial set up of your off-grid system may require an upfront investment, the money you will save long term on electricity will reward you with a nice ROI (return on investment). In the long run you are actually saving a lot more money than if you used standard utilities. As Big Island Solar Experts, our team knows that the task of building your off-grid system may seem a bit intimidating. Our solar experts are here to help you put together the right off-grid solar package for your individual needs. System Design - We make sure to find an optimized system design of solar module and batteries to meet your energy needs. Advanced Battery Technology - Our non toxic, maintenance free batteries are unparalleled and provide reliability and peace of mind. Remote Monitoring - Easily track your energy usage and performance from the convenience of your computer, phone or tablet. Solar Panels- With an array of solar panels to choose from, these are perhaps one of the most important elements to creating the right off-grid solar power system. Choosing the right solar panels that will be compatible with the other components needed, such as power centers and batteries, is essential. Solar panels take the energy from the sun and convert it into DC power, the energy you will use to run your appliances, etc. Choosing panels that are capable of capturing the right amount of DC energy needed is very important. Generally solar panels will offer energy measurements in voltages or amperage. Charge Controllers- Charge Controllers are measured in voltage or amperage and must be able to support the voltage of your solar panels and the required output to your battery banks voltage. These controllers are generally responsible for two very important things: optimizing battery charge and making sure power from the battery doesn’t go back into the solar panels. Batteries- Solar Power batteries are generally referred to as deep cycle batteries and are essential to your off-grid solar power system. These batteries provide the storage needed for the energy created from your solar panels. They are also crucial because they are able to stand up to long term repeated energy discharges, which are inevitable in off-grid solar power systems. Inverters- These are important for both off-grid and grid-tied solar power systems. They do the work of converting the DC energy brought in by the solar panels and charge controller, to AC power. AC power is used by all of your appliances and electrically operated items. Again these must be compatible with your entire system to ensure optimal performance, safety and usage. While off-grid solar power systems tend to be a bit more technical initially, once you have all the right materials in place and understand how everything operates, living off the grid can be quite great! You will need to maximize the energy you use by being aware of and minimizing waste, as well as making sure that your battery banks and storage is always in the best working order. Once you become familiar with your off-grid system however, it may just be one of the best investments you have ever made for yourself and your home or business!